Our Rotary Club is very active in Youth Services! We host inbound and outbound exchange students, sponsor an Interact Club at FHS and donate scholarships to Gillespie County Students. Interact- Our club coordinated with and provided guidance to Interact Sponsor and Club Officers at Fredericksburg High School. We provided leadership and general Rotary information at twice monthly Officers meetings and regular Interact meetings. We transported students to special event at Morgan’s Wonderland in San Antonio during fall 2017. We partnered with Rotarians to wrap Christmas presents for Toys for Tots. we transported at least two and sometimes more students from FHS to weekly Rotary meetings. We transported 13 Interact students to Morgan’s Wonderland during May 2018 to attend Interact District Conference. RYLA. Interviewed, selected, and transported seven Fredericksburg High School students to RYLA 2018 at the John Newcomb Tennis Ranch in New Braunfels, TX. Students included our exchange student and one student from Harper High School. At least four of these students earned at least one award each during the event. Hosted an inbound Rotary Youth Exchange Student from Germany during the period of August 20, 2017-27 July 2018. We showed her the American way of life from the standpoint of three difference families. We transported her to many place and events, many of which were Rotary events. The student functioned well as an ambassador of her country and her family. She attended all of our Rotary meetings during her exchange, and provided weekly oral reports on her activities. At the same time, we sponsored a local Fredericksburg student who travelled to Spain as a Rotary Youth Exchange Student. He provided monthly reports of his activities and represented us well. 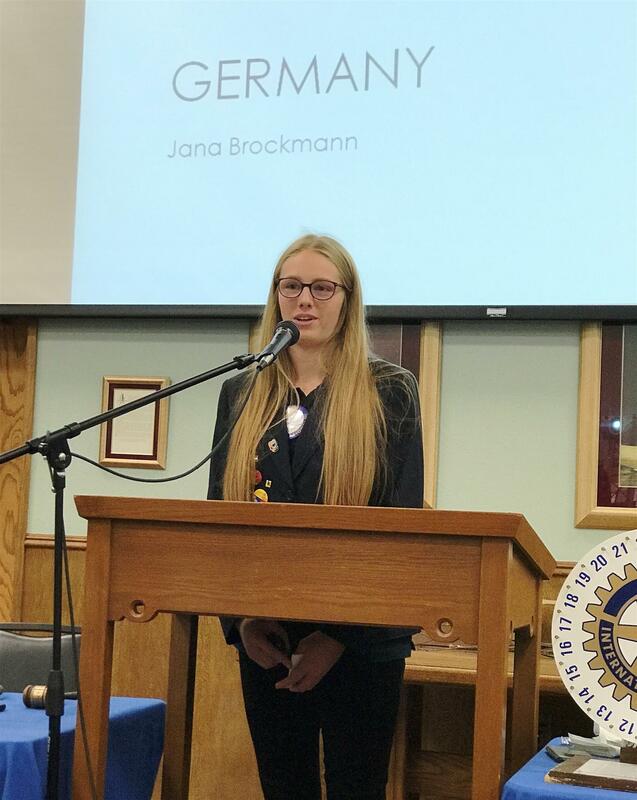 Finally, we have interviewed, selected, trained, and will sponsor a local high school student who will go to Germany as a Rotary Youth Exchange Student for the 2018-2019 school year year.